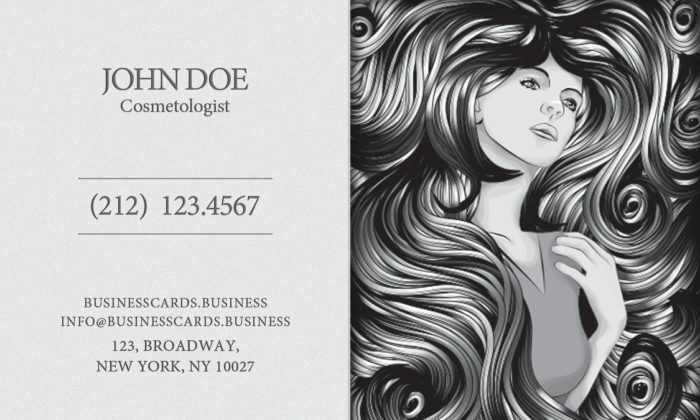 This Cosmetology Business Card template is a free personal business card designs that can be used for cosmetics. 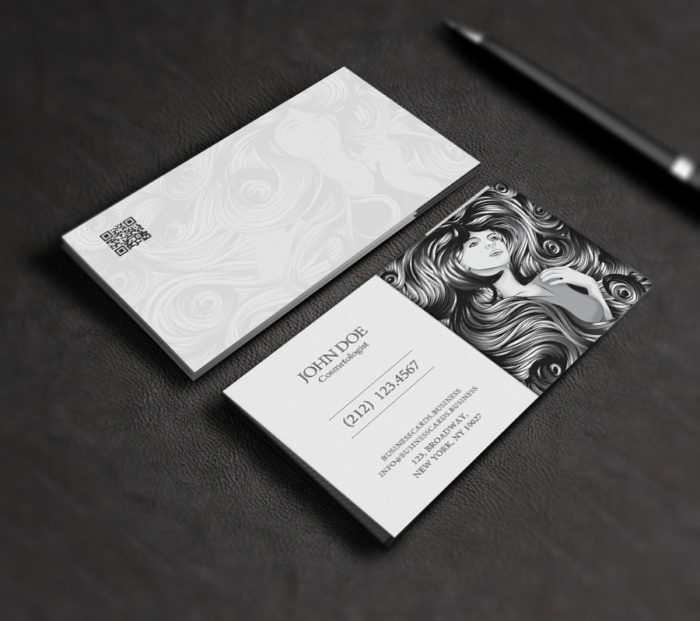 The front side of the business card includes a lady illustration with space to enter the business card details. It uses the Crimson font face and a nice gray background design including a QR Code in the top left corner. 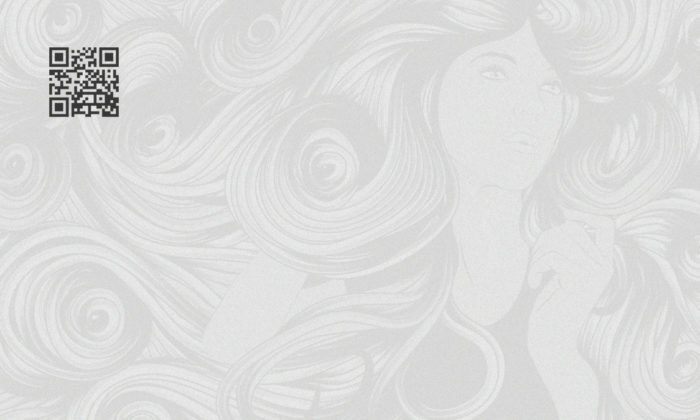 The QR Code can be replaced by any other customized QR Code.